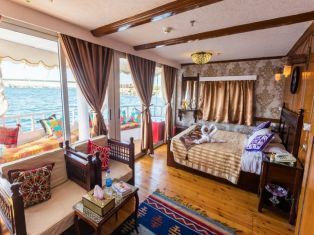 Take a journey on the Nile onboard the MS Amoura River Yacht. Each of the cabins comprises of Panoramic Window where you can enjoy the beautiful scenery as you glide along. 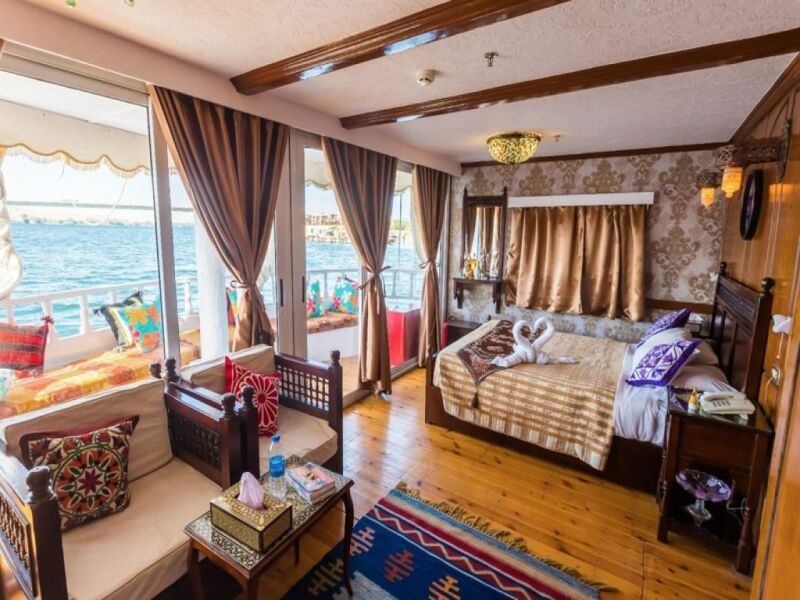 There is also a fabulous Sundeck for you to relax and enjoy as you travel from Aswan and back in comfort and style. 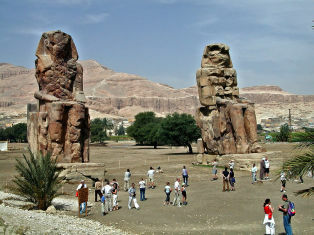 Our Reflections Egyptologist Guide will be waiting at Luxor International Airport or Railway Station to assist you and accompany you for a Tour to visit the stunning Valley of the kings, Queen Hatshepsut Temple and the Colossi of Memnon and Karnak Temple.After your tour you will be transferred from Luxor to Esna to embark your Nile Dahabyia . Enjoy breakfast onboard. 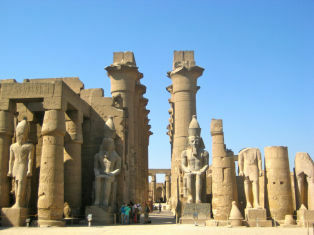 Sailing to Edfu.Today we take a visit by horse and carriage to the beautiful Edfu Temple. Two beautiful granite statues of the Falcon God Horus flank the entrance. 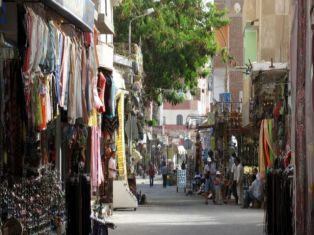 After your visit to the Temple you can either ride or take a walk through the bazaar, this is an extensive bazaar where you can use your bartering skills for souvenirs, spices and perfumes. Lunch onboard. 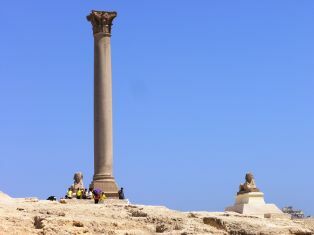 Then continue sailing to Silsela Hormoheb Temple. Dinner will either be served in the grounds of the Temple or an Island or on the Upper Deck of the boat whilst you relax and enjoy the peaceful atmosphere and music to match. Relaxing breakfast onboard. 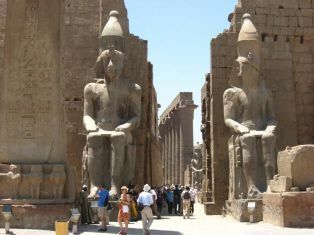 Sailing to Kom Ombo.Take a visit to the fantastic Kom Ombo Temple.Carry on sailing to Aswan and enjoy the peaceful sounds of nature and view the different kinds of Bird Life you can see as you glide along. Overnight in Aswan. 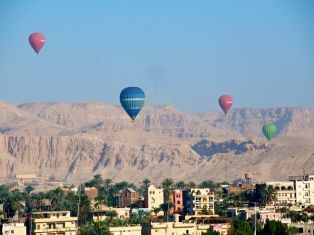 Breakfast on Board ,Enjoy today a visit to the magnificent Philae Temple, the World famous High Dam, and then enjoy the sights and different smells of spices as you walk through Aswan Bazaar. 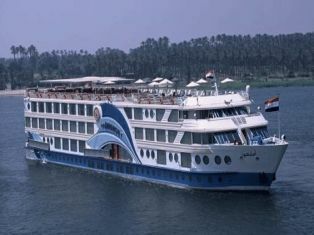 Back to your boat to spend a fabulous evening in Aswan. After breakfast and disembarkation you will be transferred to Aswan Airport or Railway Station for your final departure. 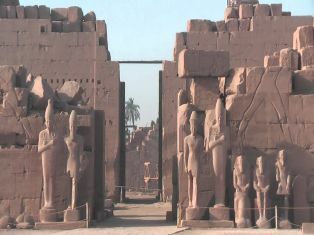 Domestic Flight from Aswan to Abu Simbel and return.